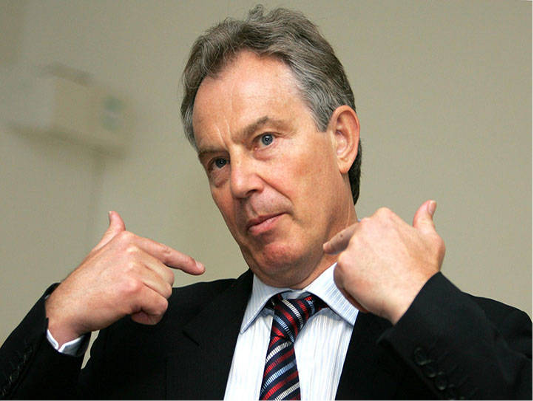 Britain's attorney general has launched a legal bid to quash a bid to prosecute Tony Blair over the Iraq War. Jeremy Wright QC has asked to join any hearings into the case and has called for any prosecution attempts to be thrown out. A judge in November ruled that the former Labour PM had immunity from criminal charges and that any prosecution could mean the disclosure of information from the Official Secrets Act. That has not stopped the former chief of staff of the Iraqi army, Gen Abdul-Wahid Shannan ar-Ribat, from wanting to see Blair, then foreign secretary Jack Straw and former attorney general Lord Goldsmith face trial for the crime of "aggression". The former general wants legal aid funding to help pay for a judicial review of the judge's decision. He is basing his private prosecution on the Chilcott report into the conflict, which criticised the British government rushing into a war that cost the lives 179 British service personnel. The Guardian reported that Wright considered the case to be hopeless as the crime of aggression does not exist in English law and that parliaments, not courts, make criminal laws. However, the report quoted Goldsmith in a 2003 memo saying: "Aggression is a crime under customary international law which automatically forms part of domestic law." The lawyers behind the private prosecution attempt include Michael Mansfield QC and Imran Khan who said that it was incorrect that Blair and other ministers enjoyed immunity from prosecution in the UK. The judge who made the ruling had made "glaring errors of law", they claimed. "If ever there was a case which required the actions of public officials to account for their alleged criminality, we cannot conceive of any better one than this," they said. A spokesman for the attorney general said: "It is not unusual for the attorney general to intervene in these sort of cases in order to represent the public interest."